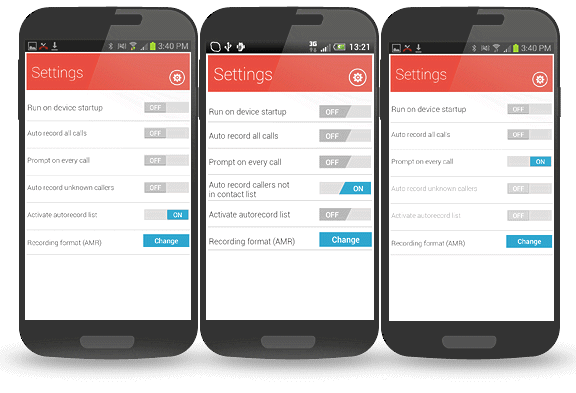 the many features in the application. 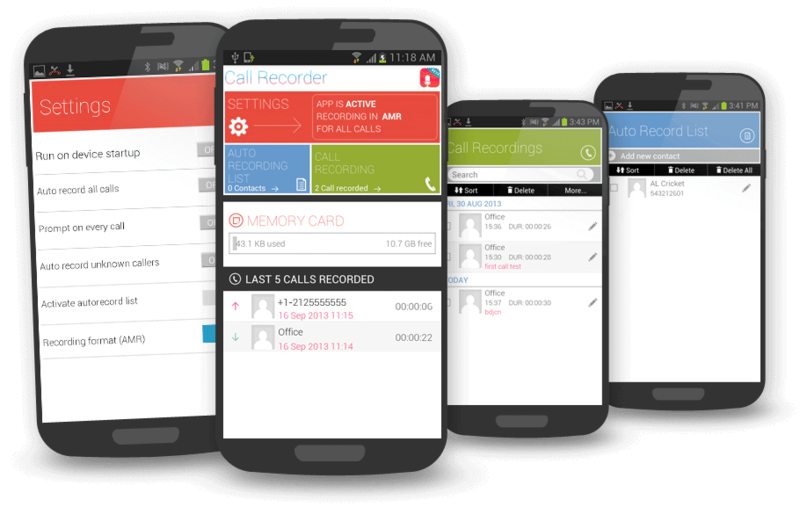 Automatic pop up on every call ensures that user can record desired calls with ease. 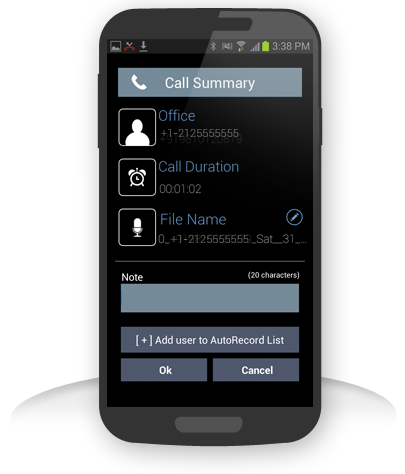 • Sort Recording as per date. • Edit notes of each recording. 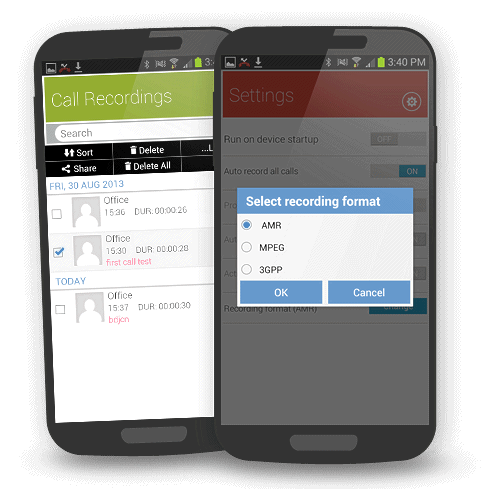 • Share recordings via email and Bluetooth. 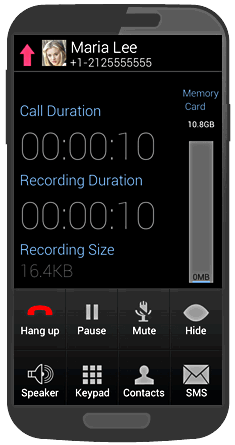 • Arrange recordings in Ascending / Descending order. 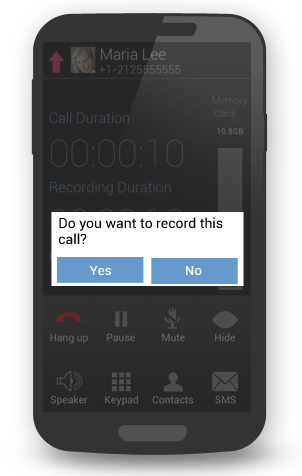 • Tap to hear recordings from within the application. 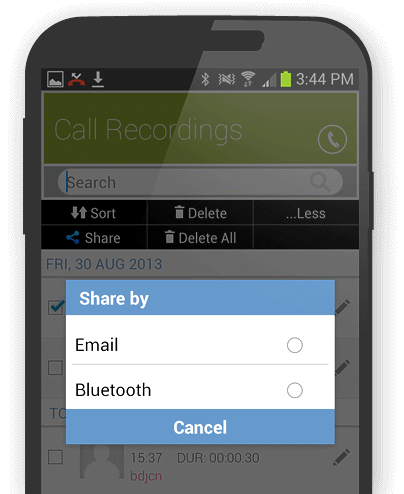 Extract files or share via Bluetooth and/or email.